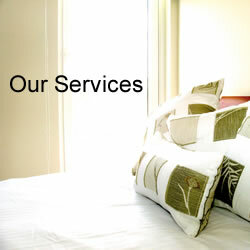 Our Mission: To consistently provide outstanding service to every client! At Spots Carpet Care & Restoration Services, we take pride in our reputation, experience, education, systems, and guarantee. Our staff has over 25 years of combined experience. 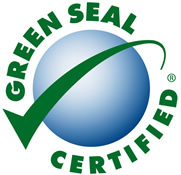 Spots Carpet Care & Restoration Services is also an IICRC certified firm. We hold multiple Master and Journeymen Cleaning Technician certifications, which are the highest available in the carpet cleaning industry. Important – ALWAYS read and follow the care instructions and any warnings provided by the carpet or upholstery manufacturer. 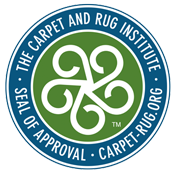 Carpeting and upholstery with natural fibers and/or certain dyes or finishes may require special treatment. If in doubt contact Spots Carpet Care & Restoration Services for advice/service first. NEVER PROCEED with any stain removal instructions without knowing the exact nature of the stain involved. NEVER USE any retail products to remove stains from carpet or upholstery without seeking the advice of the manufacturer or you could void your warranty. Call a Professional – Spots Carpet Care & Restoration Services has the ability and the equipment to use more aggressive cleaning solutions to remove stubborn spills. The fabric and yarns that make up the side of the carpet that lays next to the floor. 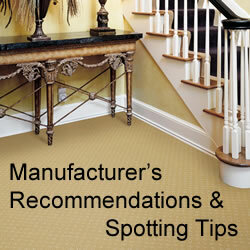 In tufted carpets there are two types of backing. Primary backing – a woven or non-woven fabric through which the yarn is inserted by the tufting needles. The purpose of our E-Discount program is simply to offer special discounts of Spots Carpet Cleaning services only to our valued e-mail clients. Periodically we will also send our E-Newsletters which contains great tips on how to best maintain your carpeting, upholstery and hard surface flooring. Please be assured that Janssen’s will not sell or rent any of your personal information to others, nor will we flood your inbox with emails. You can opt out of our E-Discount Program at any time by clicking on the link at the bottom of any e-mail you receive. 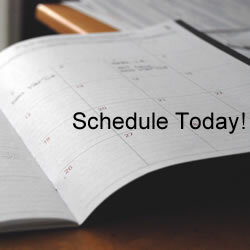 If you have any further questions, please contact our office at info@spotscarpetcare.com.